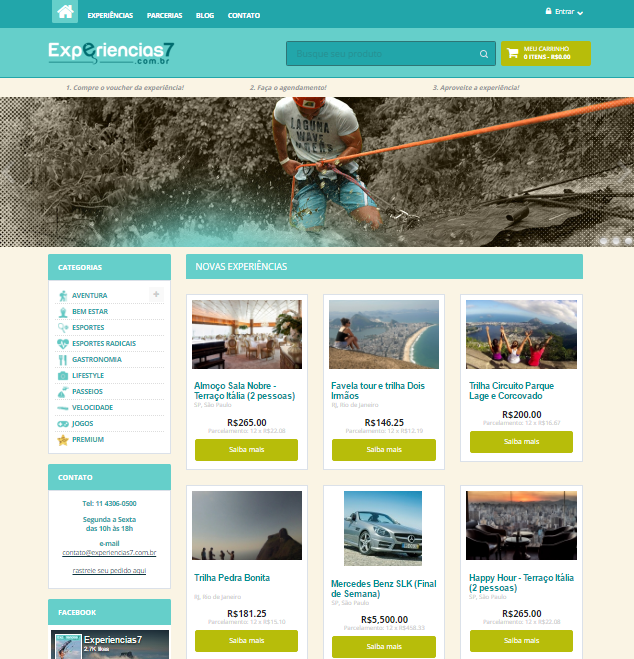 Often it is very hard to find and buy quality experiences and activities in Brazil. Firstly, it can be hard to find the websites of good service providers. If you do manage to find their website, then in many cases the websites are of poor quality. All this makes buying daytrips, balloon flights, skydiving, surf lessons, diving and other cool activites quite a hassle. 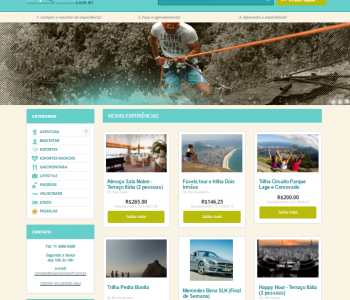 Not to worry, there is a great online marketplace for experiences in Rio de Janeiro and experiences in Sao Paulo. Its easy to use and has a nice selection of different types of activities for you to enjoy. What is great about Experiencias7, is that all the services on their website have been tested and only the best providers are eligible to sell there. This can save you a lot of headaches. The website is only in Portuguese at the moment, but so are most other websites in Brazil :) Their customer care speaks English though! And this is a rare thing in Brazil.